I was mocking around and then I noticed these new… (?) … Features and after doing some tests I concluded that I don’t know what does these guys do. Can anyone help me or a Zappar member explain what is? This didn’t make much sense for me because this print came from a image node. Not all of these are new, but it’s true they may not be documented yet. Studio doesn’t have a specific “image” node. 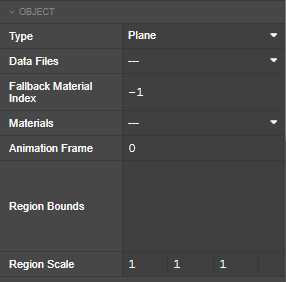 If you drag in an image it will add an “object” node, set the object type to the “plane” object, and set the x and y scales automatically to make the aspect ratio correct. Most of the properties you mention indeed won’t have any affect for the “plane” object type, but they do have uses with other models. This is part of the GLTF support that was added in Studio 6 for Sketchfab integration. GLTF can split the data for a single object across multiple files but we only have one “object type” property, so this allows specifying the additional files required for those models. Some objects have multiple /submeshes with different materials on each. That’s why you can specify multiple materials in the material property. If the object file doesn’t specify which material to use for a particular submesh then the fallbackMaterialIndex will specify which one of the materials to use to render it. This one is actually documented. If you have set the object type to an object file that has an animation timeline, this is how you specify the frame to render. The 3D model import wizard will set up timelines to animate this property in order to play the animation on the model. This idea is how we do the 3D buttons and borders in Designer. It’s only supported for our internal “aro” object format at the moment, but even internally it’s not a feature that is used very often.